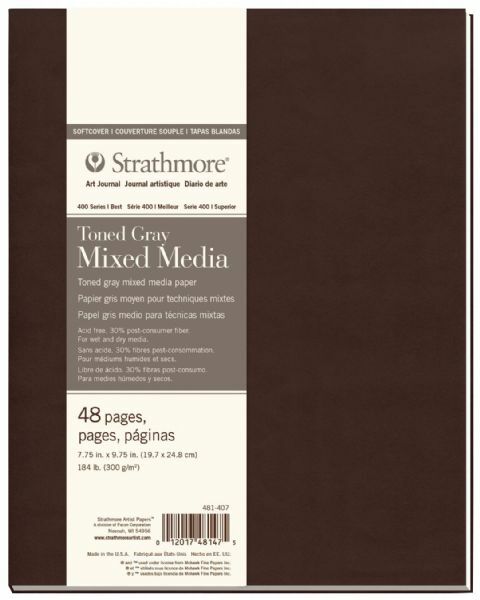 Strathmore 400 Series Strathmore® 400 Series Toned Mixed Media Gray Art Journal 7.75" X 9.75"
* Mid-tone paper created specifically to work well with light and dark media. * Features a velvety soft cover in rich dark brown and a flexible lightweight format in convenient portable sizes. * Also features a durable Smyth-sewn binding allowing pages to lay flatter. 9.75" x 7.75" x 0.6"